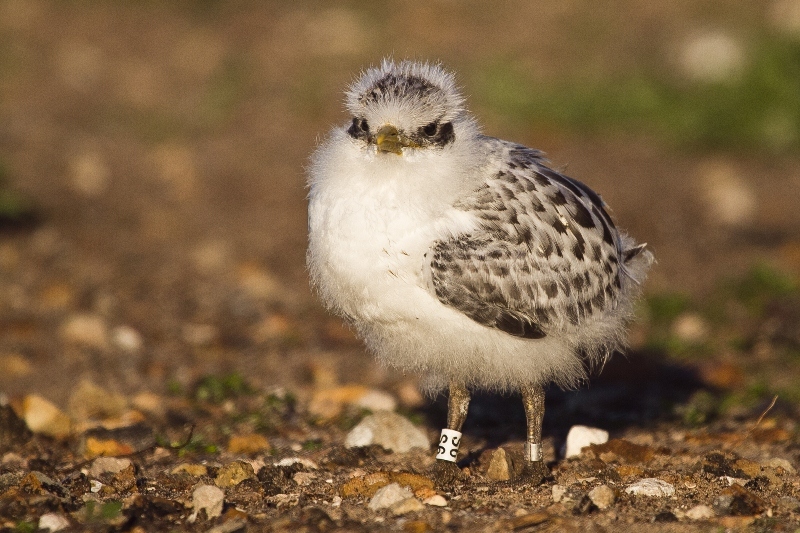 Researchers from the Percy FitzPatrick Institute at the University of Cape Town marked 500 Swift Terns chicks with metal and individually engraved colour-rings each year. 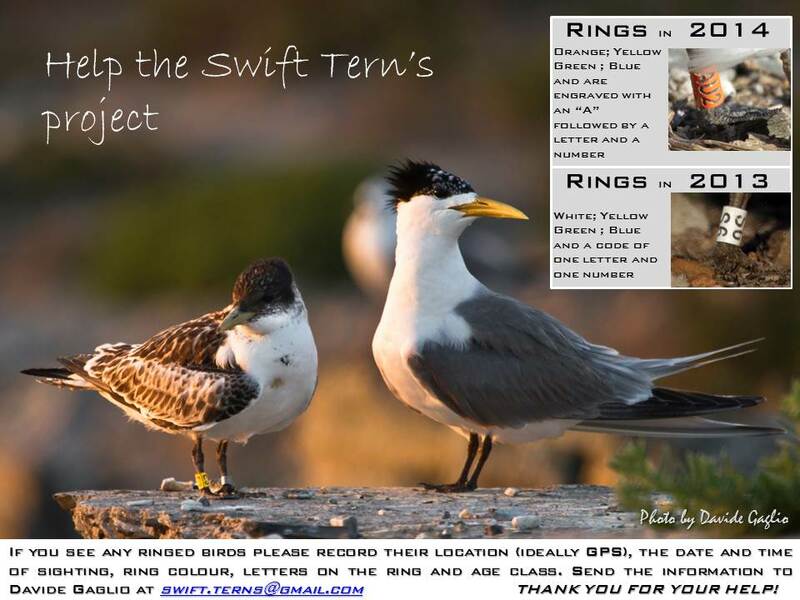 Birders and members of the public are kindly asked to report ring colours to track the juvenile’s dispersal around the coast. If you see any ringed birds, please record their location as accurately as possible (GPS ideally), date and time of sighting, ring colour, letters on the ring (if legible), which leg is the ring and age class (juvenile or immature). If a bird is found dead, please also record the number of the metal ring. 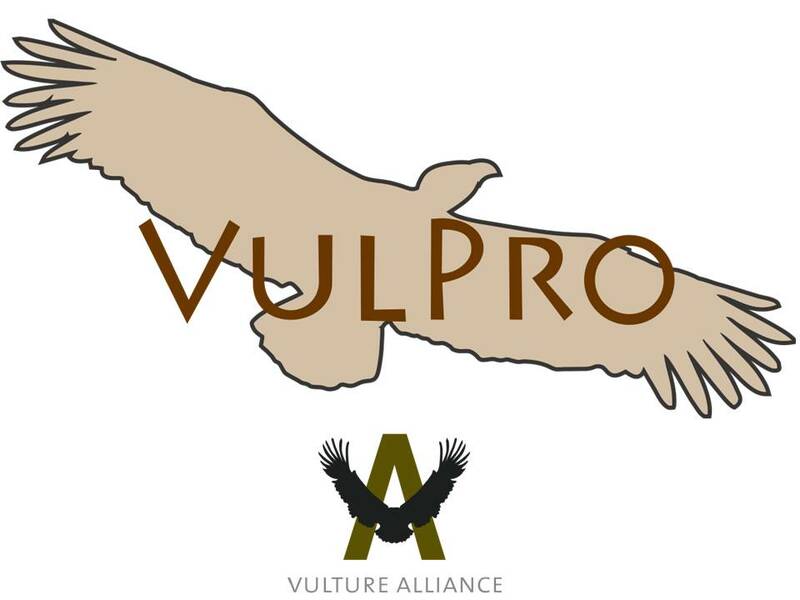 2013: White and Yellow with black text Green and Blue with white text. Letter+Number (e.g. A7) (on right leg). Green and Blue with white text. "A"+Letter+Number (e.g. AB7) (on right leg). Gaglio et al. 2015. Insects in the diet of the Greater Crested Tern Thalasseus Bergii Bergii in Southern Africa. Marine Ornithology. 43: 131-132.